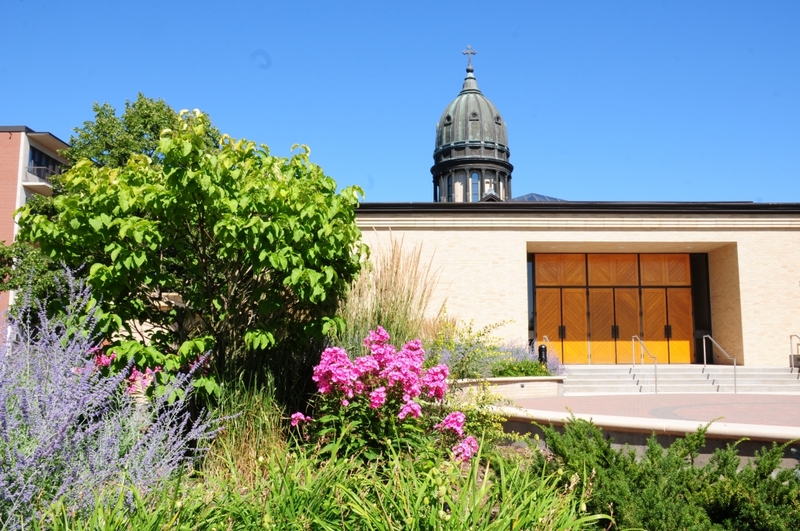 Have you ever wondered how a Benedictine monastery functions? Or what kind of person would choose to enter a monastic community when there are so many opportunities “in the world”? Or perhaps you ask what it means to be “in the world” but not “of it.” Indeed, who would find it reasonable to follow the bell calling one to prayer seven times a day, no matter what one must leave undone to traverse the farm or orchard, kitchen or scriptorium, to pray for 15 minutes with the other cowled or coiffured members of the community? At St. Alcuin’s Monastery, there are Matins, Lauds, Prime, Terce, Sext, None and Compline, a rhythm of prayer that necessarily intersperses the work and holy leisure of this 14th century horarium described in Penelope Wilcock’s 9-volume series entitled The Hawk and the Dove. If Brother Robert chafes when he hears the 3 o’clock bell calling him and his 30 brother monks to prayer as yet another “interruption” that keeps him from finishing the harvest, it is understandable until his loving and kind Abbot John reminds him what Robert already knows: he is a monk first and then a farmer, or cook, or orchard caretaker, or calligrapher, or whatever other work any of his brother monks has been assigned. These 31 monks are exquisitely described by Wilcock, each curiously individual, who in their human struggle to be faithful, bring one another into community—not easily, but humbly enough to keep on learning, changing, forgiving and being forgiven until faith and faithfulness make each individual an integral part of their beloved community, able to withstand idiosyncrasies and gradually to be stitched together with love. It takes willingness and courage to say “Yes” again and again and again…but that’s what makes St. Alcuin’s monastic community a “beloved community,” a treasure hidden in a vast field of 14th century England. Human frailty eventually mollifies into a blessed divinity and creates the full image of Christ. You will love and learn from Penelope Wilcock’s The Hawk and the Dove! I finished my second reading of all 9 volumes. I may return to the library again soon; St. Alcuin’s Monastery describes a sense of belonging, of home, for me!